Facebook is pursuing on its strategy to regain the favors of teenagers with its newly updated Facebook Messenger app, Annouced as an SMS App Killer, the updated messenger aims to assault on SMS and competitors like WeChat and Line today by expanding its “contact via phone number” feature to all Android and iOS users. The most notable update to the app allows users to message anyone in their contacts who has the Messenger app, not just those they are Facebook friends with. The layout was redesigned to be much clearer and the faster start-up and improved speed of messages mean the app works much more like SMS or texting than it did before, said Peter Martinazzi, the Messenger product manager at Facebook. The new versions of the app were also built specifically for Android and iOS operating systems, meaning the icons, color schemes, and layouts were designed to feel more natural on each OS, said Martinazzi. 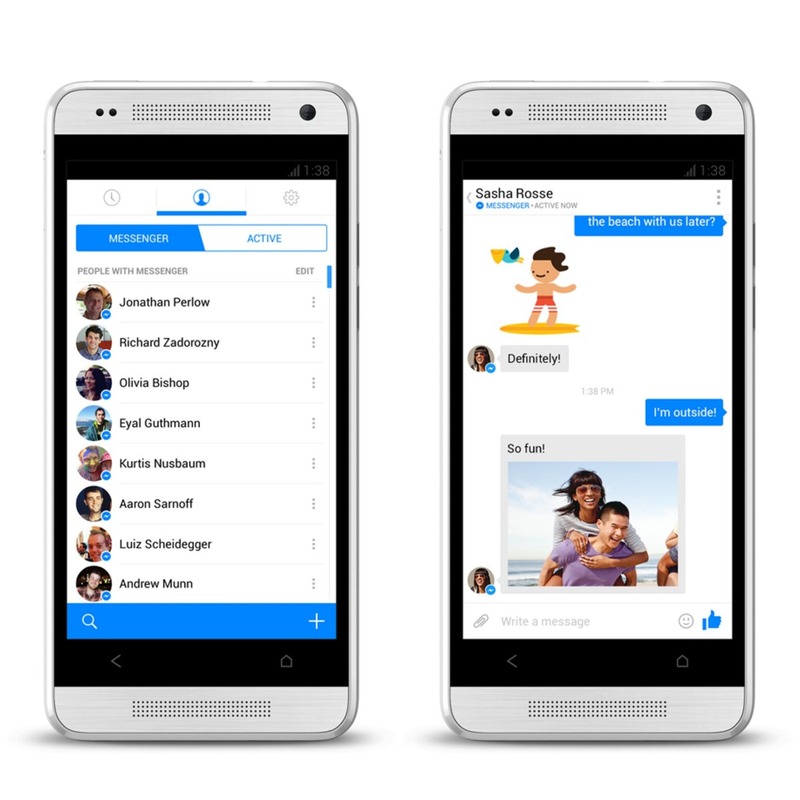 The text messaging aspect of the update is important for Facebook’s longterm plans around mobile user growth. In many countries where mobile users are routinely charged on a per-text basis, a free messaging service like Messenger could come in handy. Users can download the iOS version in the App Store, and the Android version in Google Play.